The Grade 1, $500,000 Gold Cup at Santa Anita has been moved from late June to Memorial Day weekend this year and will be the richest race of the track's spring-summer meeting, the track announced Feb. 10. Santa Anita Park will offer fans and horsemen a total of 24 graded stakes (up from 16 a year ago), including four Grade I events, as part of its 2017 Spring Meet, which runs April 14 to July 4. 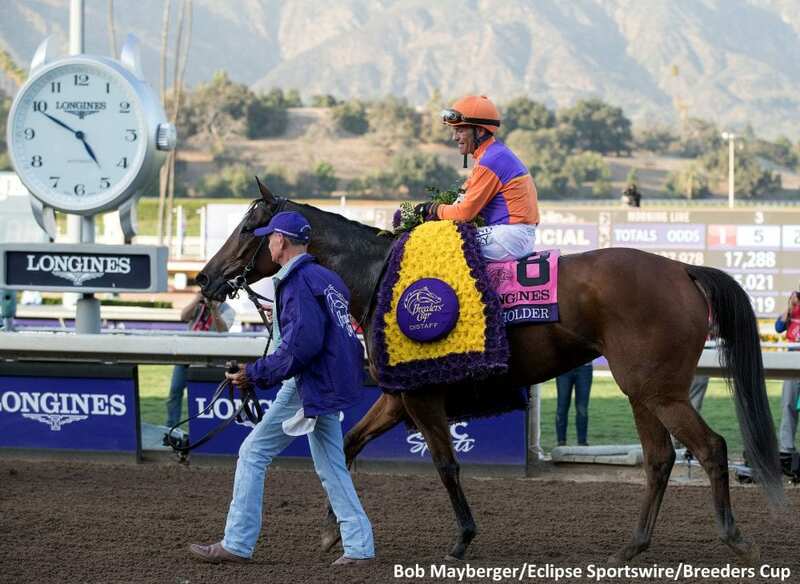 In addition to moving the Grade I Gold Cup at Santa Anita up one month to May 27, Santa Anita has also announced that the prestigious Grade I Vanity Mile will now be known as the Grade I Beholder Mile, in honor of Spendthrift Farm's four-time Eclipse Champion who was trained by Richard Mandella.The Beholder Mile will be run on June 3. –Saturday, May 27 $300,000 Gamely Stakes, fillies and mares three and up at 1 1/8 miles on turf. –Saturday, May 27 $500,000 Gold Cup at Santa Anita, three year olds and up at 1 1/4 miles. –Saturday, June 3 $400,000 Beholder Mile Stakes, fillies and mares three and up at one mile. –Saturday, June 3 $400,000 Shoemaker Mile (turf), three year olds and up. This entry was posted in NL Article, The Biz and tagged beholder mile, Horse Racing, santa anita, santa anita stakes schedule, thoroughbred, vanity mile by Mike Willman/Santa Anita. Bookmark the permalink.